Yes, AeroFS is supported on Windows Vista. However, when you download and run the AeroFS installation file, AeroFS setup will not launch. 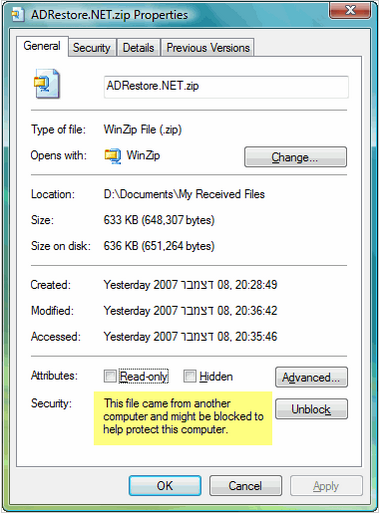 This is because Windows Vista marks the AeroFS installer as untrusted and blocks it. In order to work around this, simply right-click on the installer file, select Properties, click on Unblock at the bottom. Note: this behavior is specific to Windows Vista only.